Mindfulness: solitude, spending time with ourself. In the modern world with its lifestyle of continuous connection and instant availability, it is not surprising that we seem to have become afraid of being alone. As a social species, human survival has depended on being part of a group. The greater the crowd, the smaller the chance of any one person being eaten. 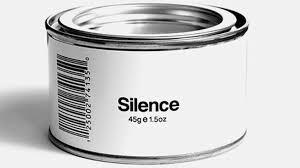 The accompanying fear of silence, presumably related to the silence that falls when a predator is close at hand, seems to go beyond a sensible degree of anxiety about our safety, to a genuine fear of being alone with our thoughts. Categories: Mental health, Mindfulness | Tags: alone time, loneliness, self-awareness, Silence, solitude, stillness, wellbeing | Permalink.